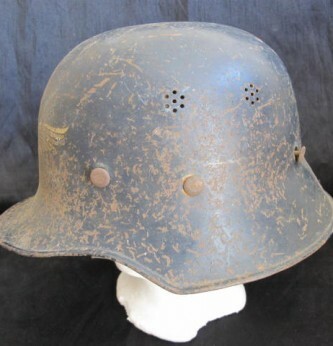 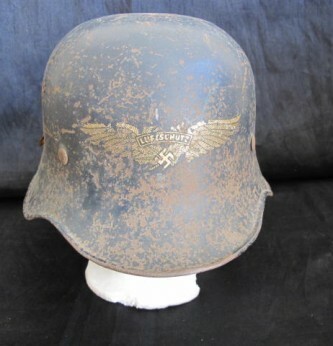 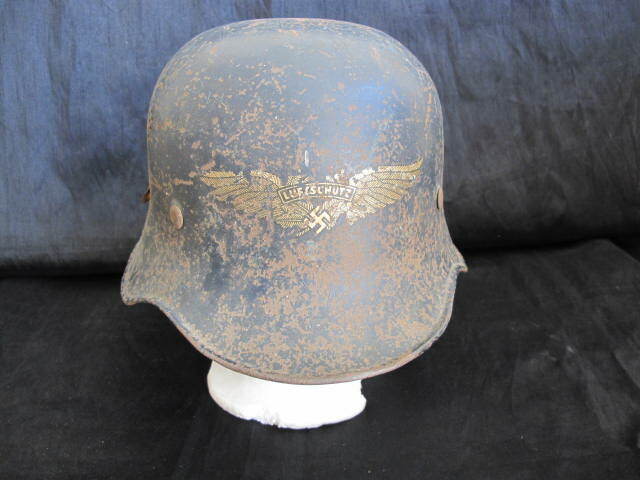 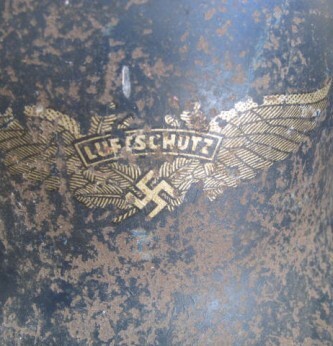 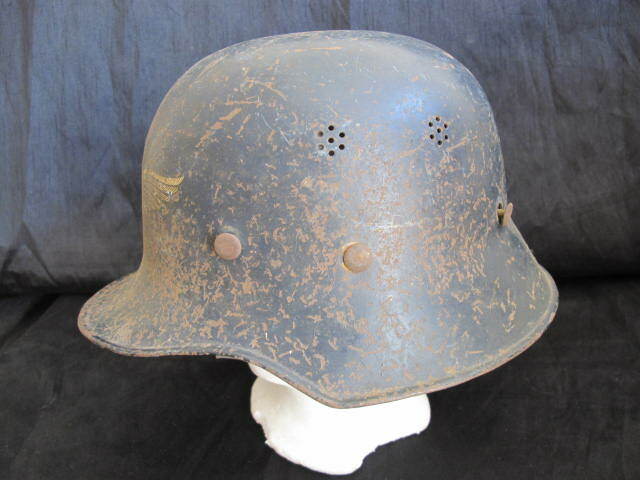 Imperial style helmet issued for Luftschutz air defence troops. 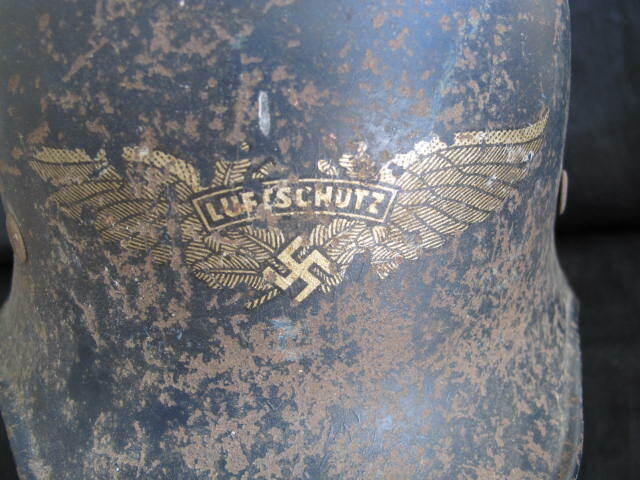 70% of Luftschutz winged Luftwaffe decal to front. 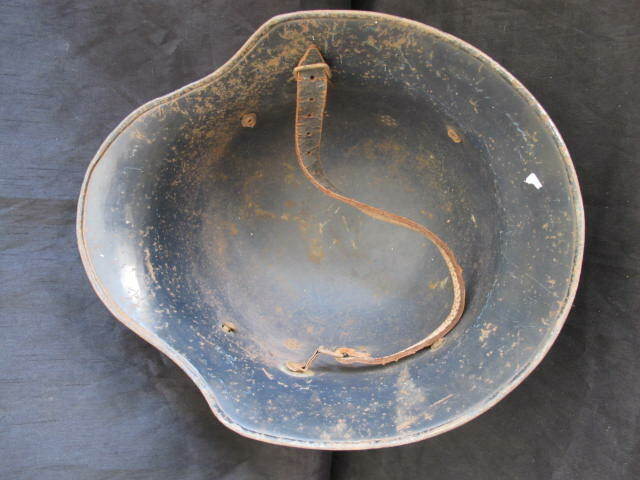 Original dark blue paint finish and one section of chin strap. 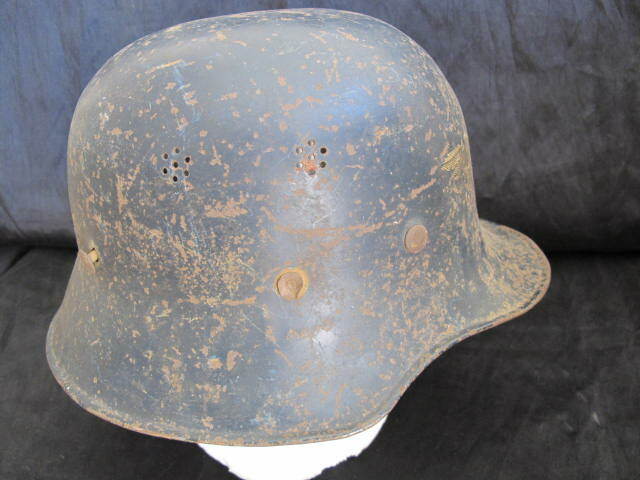 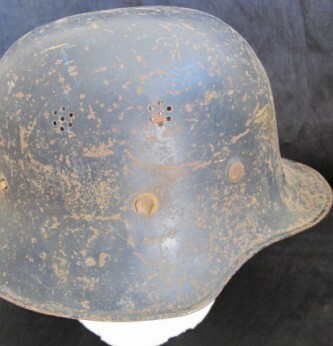 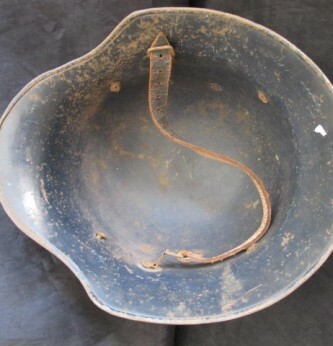 Unfortunately liner now missing but a nice untouched and as found example of this scarce pattern steel helmet.